As the new year rings in, I’m usually fast to make my new year resolutions. These usually involve some type of diet, exercise, or other health considerations. Next in line on that list is typically a project that has sat dormant for years and I resolve to complete it. Somewhere in the list of top 10 things I’m going to change are the behaviors I want to instill in my kids. You know the ones I’m talking about– changing those behaviors that either embarrass me or make me go livid. By week two of the new year life has gotten back to semi-normal after the busy holiday season and the top 10 resolutions have started falling by the wayside. It doesn’t surprise me. By the end of the year I probably won’t remember them anyway. So this year I’m proposing that whatever resolutions you may be struggling to keep might be better served with only one new resolution. Imagine what life in your home might look like if that was your focus. What if you modeled this for your kids on a daily basis? What if instead of getting angry you handled a situation with gentleness or kindness? What if instead of acting on your fear you chose self-control knowing that God will be faithful to take care of your kids or the situation? What if you responded with a quiet and gentle voice instead of spewing hurtful words at your teens? So here’s a way to get started in your home. Focus on the scripture above. If our desire is to have a more loving, peaceful, and self-controlled family, we as parents need to model it. Focus on the good that we see in our tweens and teens. Whatever we pay attention to grows! Define the problems. When tempers rise try to get to the root of the issue. Understanding the root cause helps put together a better solution. Find a solution that all those involved can live with. For example, if Rachel goes ballistic every time her younger sister comes into her room, set specific ways for both girls to respond in the future making sure they both agree to their new behavior in the next circumstance. Create accountability. In other words, make sure to create an environment for honest feedback communicated in a healthy way so that others know when they are hitting the mark or falling short. Remember it is always better to catch our teens doing things right. Pray for our kids relationships–with you and your spouse and with their siblings! Now it’s time to be honest. Sometimes we all struggle with this. It’s hard. But here’s a story one mom shared about how focusing on these virtues began to change her responses with one particular teen. “I don’t think it matters how many kids you have, but one of them seems to grate on you. For me it was my son who always chose to do the wrong thing. Things got so bad in our home that I didn’t care if I did anything for him. He didn’t want to listen to my suggestions or take advice from anyone. Eventually he ended up in trouble with the law. I know that it is hard to fathom a mother thinking these things, but my thoughts went something like this, he’s finally getting what he deserves. Maybe this will teach him something. I think I was so frustrated and hurt that I just wanted someone else to put him in his place hoping that he would learn how to do the right thing. Recently we’ve been texting a lot. It gives me time to think before I respond to him. I’ve been trying to respond out of love instead of frustration. I try to share the joy of us interacting with each other. When he tells me he has made a decision, even though I don’t agree with it, I ask myself if he could have made a worse decision. The answer is usually yes. That allows me to respond with a kind word–after all, it could be worse. 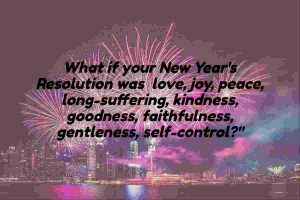 Dare you to begin your new year focused on one new resolution–to become more like Jesus in your responses as you interact with your tweens and teens. 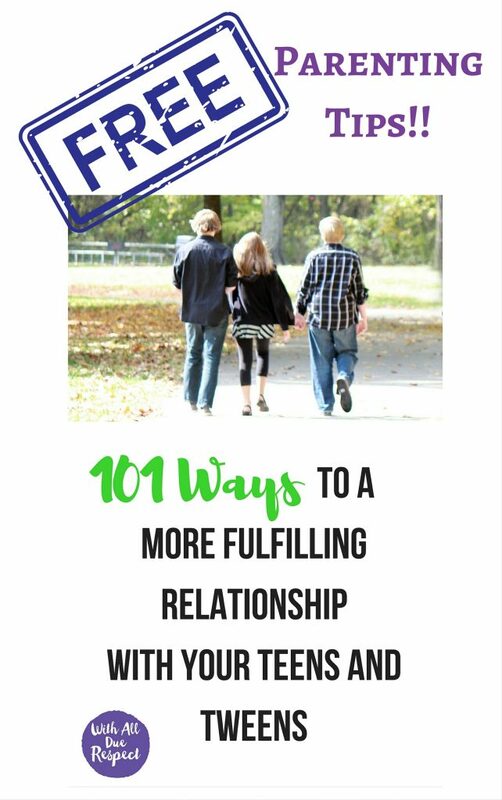 Want to find more ways to family peace during the tween and teen years? Why not join other women as we go through With All Due Respect – 40 days to a more fulfilling relationship with your teens and tweens. By starting now, you’ll have the opportunity to start the new year off right focusing on one of the most important relationships you have–your kids! 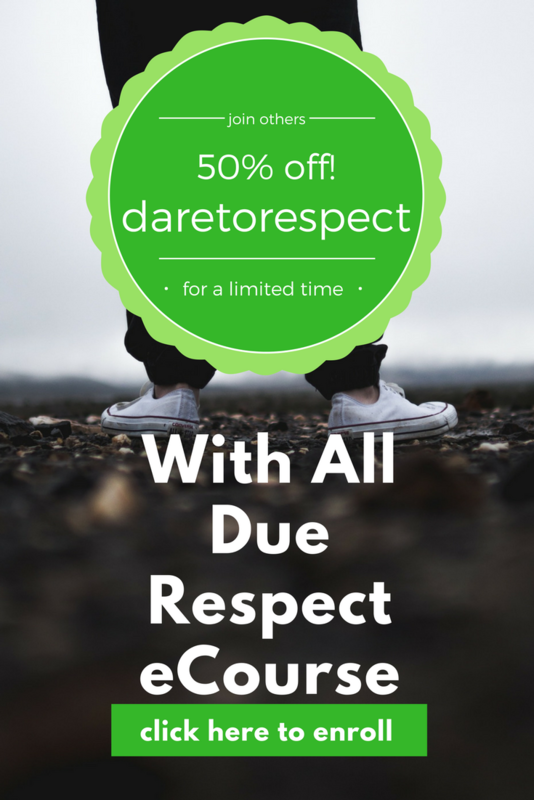 By clicking here and entering the code daretorespect, you’ll get $40 off for a limited time. Dare you to join me and others as we laugh, cry, and pray together on the journey of parenting our tweens and teens. Thanks for this encouragement Debbie. Great reminder for me to seek this in myself if I want my kiddos to show it! Sarah, it’s great that you want to be a role model for your kids, Jesus style! By loving like Him, your kids will want to know him too.